As a gardener who enjoys flowers and bees more than I enjoy pulling weeds, I’m very happy to share with you my favorite ground cover plants for pollinators and people. These are sure to please! I like them for both reasons! I also like the fact that my favorite ground cover plants also happen to attract pollinators. those wonderful assassins of bad bugs, the parasitic wasps. To see a selection of ground cover plants, or any plant, available for purchase from Monvrovia, please click here. To learn to make a Pocket Pollinator Garden with several types of pollinator-friendly plants, please read this post from Get Green Be Well. Mix in some ground cover plants with these perennials and you’ll have a garden the pollinators love throughout the growing season! Ground cover plants are typically easy to maintain since you plant them to spread on their own, at their own pace. In my garden, I use compost and layers of wood chip to keep my soil moist and the weeds down. My ground cover plants just grow right along over the top of everything. If a weed grows up through the ground cover, I rummage around and pull it out; typically, the weeds are a bit weakened from having to push up through the ground cover plant to get to the sun. After a few years, I may go in and replant if certain spots on the ground cover have died out over a harsh winter or dry summer. However, since ground cover plants multiply themselves so readily, I just use a cutting from a healthy area to fill in a sad looking area. 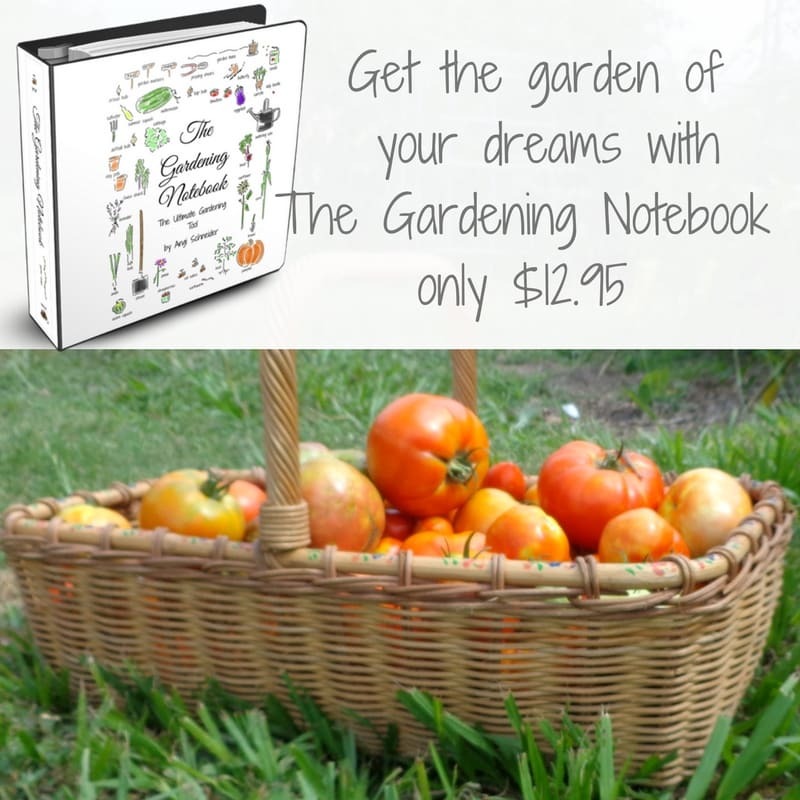 To learn more garden tips, keep track of garden records and education and make good plans for the garden this year, be sure to check out The Garden Notebook resource below. This is the one I use for my gardens. Doing best in zones 5-10, though I’ve seen some rated down to zone 3, this evergreen ground cover is very sturdy. It’s not the fastest grower, though it’s much speedier than something like elfin thyme. It covers softly, gently growing here and there to create protected areas of soil and even a step-able carpet for garden path nooks. The foliage is an evergreen being green in warm weather and purple in cold weather. When you’re ready to divide it and move baby plants to new places in your yard, you can do that by dividing the root ball, taking root or stem cuttings. Mother of Thyme will also slowly spread itself around your yard via seedlings that pop up from dropped seed. This ground cover plant enjoys full sun but can take some shade. A pH neutral soil will make it happy, as will an even amount of moisture, but it can take drier conditions and is a good choice for xeriscaped gardens. Some people even replace their lawns or mow strips with varieties of low growing thyme, especially Mother of Thyme. Don’t forget, this is a thyme, which means it’s an aromatic herb. I’ve used this in cooking when I run out of the larger leafed thyme – it has a strong, more wild flavor that’s a bit cheeky. Blooming in the late spring, Mother of Thyme will feed the pollinators in your yard, as well as you. The blooms vary in shades of pinks and purples and the pollinators just love them. My honey bees have wars over my Rugosa roses and my Mother of Thyme all season long. Also called Cinquefoil, this is a great ground cover plant that covers quickly and easily. It will do well in sun or full shade (though it will flower less with less sunshine). The leaves are reminiscent of strawberry leaves and the happy, yellow flowers look like small buttercups. Doing best in zones 4-8, it is drought tolerant and very step-able. The foliage is a glossy, deep green in warm weather and will turn purple-ish in cold weather, even occasionally turning red. The flowers appear once the season warms and will bloom until the intense heat of summer. Weeds have a very, very hard time getting through Creeping Potentilla; all but my dandelions give up and die. This plant will grow in pretty much any kind of soil and does very well on rock walls or between paving stones. Being related to Potentilla reptans it may also be an herbal astringent but I can’t verify that. love plants that re-plant themselves. It really isn’t picky about soil but doesn’t much care for really humid summers. Herbal (?) and Pollinator Bonus! Being related to Potentilla reptans it may also be an herbal astringent but I can’t verify that. Anyone know? I don’t think there’s a pollinator out there who can resist the siren call of those delicious looking, yellow flowers. Our good bugs love them! So does my toddler, who seems to think that the bees and other pollinators have enough other flowers to feed from and, instead, she should be able to pick all the blooms. The kids need to learn to share with the bees! These are a bonus plant because, not only do they make the pollinators happy when they’re in bloom, but they also produce fruit. I featured this plant in my post Five Fruits for the Children’s Garden; you can read more details about this beautiful and edible ground cover plant by clicking here. Suffice it to say, I love this ground cover and so do the pollinators. Hardy in zones 3-9, you may already love this ground cover plant and just didn’t know what it was called. Creeping Phlox is very popular as a spring bloomer in many different types of garden spaces, especially on rock walls and around paths. The plant spreads at an even rate but over time, it forms woody stems that stop flowering. Simply cut those out with a bit of fall maintenance to allow the softer stems to produce an effusion of flowers. Phlox comes in so many different varieties of colors including pinks, lavenders and white and when they’re in bloom, it looks like Mother Nature is rolling out a rainbow carpet for you. You and your pollinators can expect to enjoy those blooms as one of the first heralds of truly warm, spring weather. Plan to see the smaller pollinators on these smaller blooms. My bumble bees pass them up entirely but even while I was planting these I had several honey bees come visit. Even after the blooms fade, the leaves are a perennial green and the plant continues to put on size as it grows throughout the season. If you struggle with slugs on your ground cover plants, please read these 4 Natural Ways to Get Rid of Slugs4 Natural Ways to Get Rid of Slugs from Hybrid Rasta Mama. The phlox you see here is Monrovia brand and they were contributed by Monrovia as part of their sponsoring this post in connection with their “Connecting to the Earth with Monrovia Plants” campaign. So, even if Monrovia weren’t sponsoring this post, I’d still tell you to consider your nursery purchases well before you waste your money on a plant that may or may not grow. I don’t mind risking a few bucks for pansies but if I’m considering something bigger – perennial bush or tree, conifers – I’m going to seek out a brand that has a reputation for quality. I just don’t like to waste my money on stuff that dies. Monrovia is a brand I purchase. So, did I miss your favorite ground cover? Please let me know which ground cover plants you use in your garden and why! To learn how to begin a butterfly garden, please visit this Garden Quick Tip post. Cover graphic of phlox gratefully attributed to this Wikimedia user. I adore Lithodora, Kendra! I’m actually a big sucker for anything pretty in the garden and my practical nature constantly wars against it. Get over it, I sometimes tell my practical side. Being pretty is useful, too. My grandmother grew Plumbago in her yard and I’ve always loved it – it reminds me of her and is an impossibly beautiful color. Thanks for stopping by! I didn’t know pollinators like phlox. I’ll have to plant some in our new flower beds. Thanks for the article! Hello, Just happened upon this post. I love ground covers. My favorite is Lamium. It is not native but is so pretty with different types of leaf markings and flower colors. Lamium comes up and starts flowering early in the spring, which is beneficial following our cold Wisconsin winters. It provides food for early pollinators when nothing much else is blooming. (I have early spring flowering bulbs like crocus, scillas, daffodils, and narcissus, but I don’t see pollinators visiting these flowers at all.) Lamium divides and transplants easily to spread it around. Love it!